What kind of images and movies do you project in your mind? Are they ones that will manifest what is wanted or what is unwanted? If you are projecting thoughts and memories of unwanted things, it is important that you start making effort to only think of things that are wanted. For example, instead of thinking about the time you were fired from a job, think about what it felt like to get the job you were banking on. Keep the habit of choosing to think only positively. This habit will only then manifest more of what is wanted. Do not be the unaware person who thinks and projects movies in their mind about all the unwanted thoughts and complains when things don’t go how you wanted them to. Take accountability for what you are putting out in the universe. Nothing is happening because you are a victim. Everything is happening because you chose it, consciously or unconsciously. Either way, do something about it. 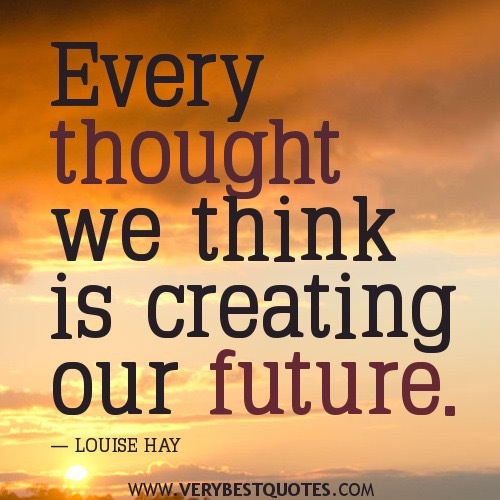 Make it a habit to watch your thoughts and make changes in how you choose to think and perceive things. If something is not working out for you, it means your thoughts and energy isn’t working for you. So instead of playing the victim, take time to evaluate what thoughts need to be replaced so that you can start to see better results. At night I advise you choose ten memories of things you experienced that were wanted and allow yourself to feel good. Practice this each night. If you’re an over achiever, try doing this in the morning, afternoon, and the night. However you do it, don’t stop. Repetition is everything. I believe in you! You can overcome the negative thinking habit and change your life!